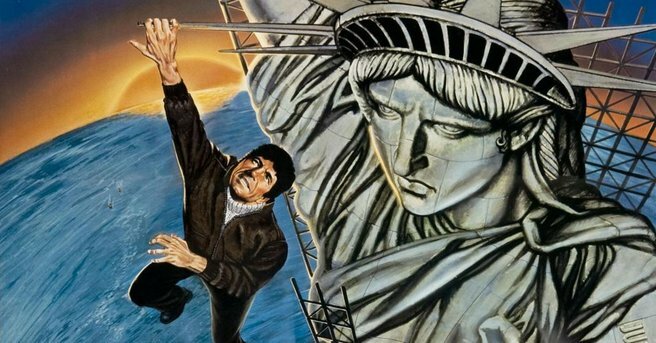 Remo Williams is one of those films that didn't quite blow people away when it was first released in 1985, but has since gained a strong fanbase in the preceeding years through multiple releases on various formats, most recently by Twilight Time on Blu-Ray. But the fact of the matter is that ultimately, Remo Williams: The Adventure Begins should have been better. Based on a series of books titled The Destroyer, Remo Williams was intended to kickstart a new franchise of blue collar style James Bond films, even going so far as to hire frequent James Bond director Guy Hamilton (Goldfinger, Live and Let Die) to helm the film and another Bond regular, screenwriter Christopher Wood (Moonraker, The Spy Who Loved Me) to write. Yet, it never really comes together very well and never gets as exciting as you hope it would be. 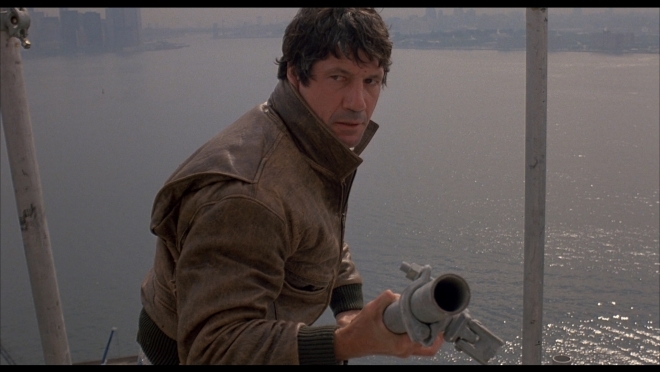 It's a real shame too, because on the surface, all of the right ingredients are here, most importantly an incredible Fred Ward, who breezes through the role effortlessly, like he was born to play it. 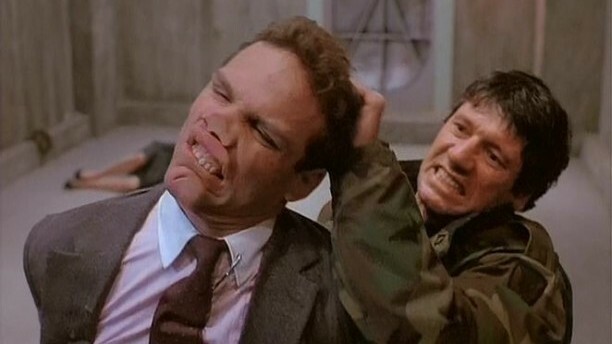 Fred Ward plays a New York cop who's recently been "officially" listed as deceased, who's been recruited by the U.S. government to be a top secret undercover agent for the president. Trained by a Korean martial arts instructor, and given a new identity, Remo resists the transition at first, only to be faced head-on with it when trouble comes looking for him. I'm not gonna lie and say I didn't enjoy it, because I did. Very much in fact. It definitely possesses a unique charm and style that is hard not to fall in love with. 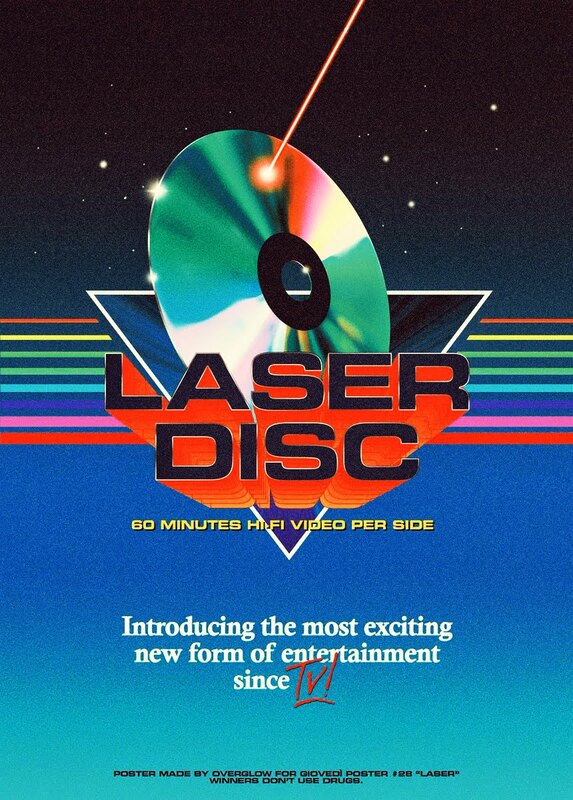 This is big budget James Bond-style filmmaking done in a practical way that you just don't see anymore, and because of this, Remo Williams is a feast for the eyes. There's certainly a good amount of action, and some impressive stuntwork to boot, but it still tends to fall flat periodically, never really seeming to recover gracefully. And I do have some issues, like for example, Craig Safan's (The Last Starfighter, A Nightmare on Elm St. 4) score, which shifts from synth to big orchestra so frequently (sometimes in the same song) that it's jarring. While I can certainly understand the need for a big, loud, catchy theme, which it does have, I have to admit that I much preferred the heavy synth sound of the other songs and wish they'd have just stuck to that instead of throwing in that theme song every 5 minutes. 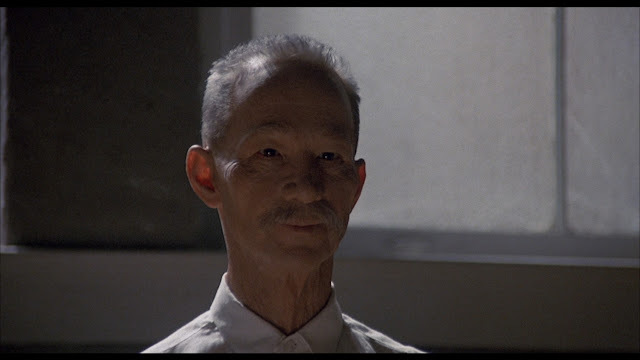 And then there's the casting of Joel Grey (who reportedly turned down the role of Chiun numerous times), under heavy makeup, as the Korean master Chiun. I mean, he was good, but it baffles me that they cast an American in a Korean role and put him under so much heavy makeup to look Korean, rather than just hire an actual Korean actor. That just doesn't make any sense to me, but Hollywood in the 80's was anything but PC. As I said before, Fred Ward is just the best here. Much like his work in the underrated classics Cast a Deadly Spell and Miami Blues, he was just born to play this role and he really is a goddamn national treasure. He should have been a much bigger star than he was. Sure we all know who he is, even the most casual of moviegoers, but he should have been much bigger, and starring in films, rather than typically playing second fiddle to the lead. Here he plays a sort of Joe Schmo blue collar character who has a knack for reacting on impulse aggressively, and putting his foot in his mouth. Even when learning a whole bunch of new incredible talents that defy the laws of gravity and even logic, he still talks like someone you would hire to rough someone up for a few dollars, rather than a hero for the U.S. president. But despite that, Ward is a marvel here, and really makes the film as enjoyable as it is and it's a treasure to watch. Director Guy Hamilton handles the action scenes well, in a straightforward serviceable approach, without much visual flair, but at least they're consistent and never strays towards the lazy handheld manner, thankfully. I think part of the issue with the film is it's pace, where you're given an action sequence, only to have it stop temporarily for one random reason or another, then picks back up to finish the action sequence, only by now it's left you a bit underwhelmed. This happens more than once and it gets old fast. Overall I enjoyed it, and I can understand why some really love it. I don't see myself revisiting this often, which is probably why it took me decades to come back to it. For me it felt like a missed opportunity and it should have been a lot better. It has all the right ingredients for sure, everything's here. It just wasn't utilized efficiently in the end. I have been known to change my mind often though, so maybe my next revisit will be the time when I connect with it. Or maybe it won't.